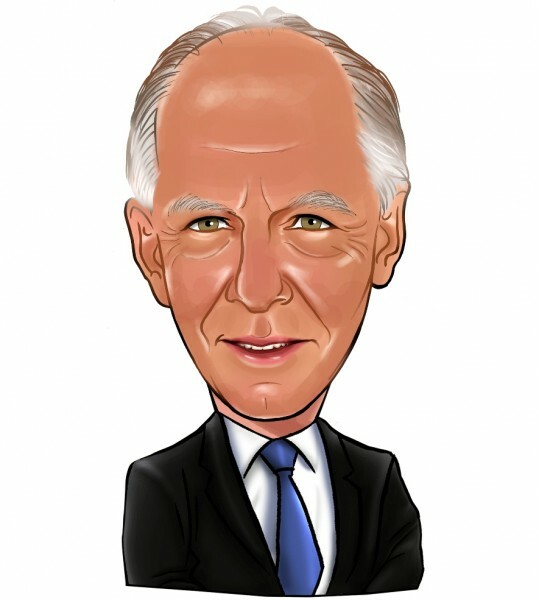 Was Billionaire Jacob Rothschild Right about His Top Picks? Since its listing on the London Stock Exchange in 1988, it has invested in a widely diversified, international portfolio delivering returns to shareholders in excess of the world’s leading stock markets and its peers. RIT has more than doubled its NAV and share price over the last ten years. A shareholder who invested in RIT at inception will have seen a share price total return of 12.7% per annum. However, the recent market turmoil has affected Rothschild’s performance. According to our calculations, which involve companies with a market cap of over $1.0 billion, RIT Capital’s 10 positions had a weighted average loss of over 15%, while year-to-date their decline amounts to 18.5%. However, given that Rothschild is a long term investor with a great track record, we’re confident he will bounce back nicely. Let’s take a closer look at Rothschild’s top picks and see how his top picks of eBay Inc (NASDAQ:EBAY), Comcast Corporation (NASDAQ:CMCSA), Walt Disney Co (NYSE:DIS), Colgate-Palmolive Company (NYSE:CL), and Alibaba Group Holding Ltd (NYSE:BABA) did for the third quarter. We pay attention to elite fund holdings such as RIT Capital Parnters because our research has shown that elite funds are extremely talented at picking stocks on the long side of their portfolios. It is true that hedge fund investors have been underperforming the market in recent years. However, this was mainly because hedge funds’ short stock picks lost a ton of money during the bull market that started in March 2009. Hedge fund investors also paid an arm and a leg for the services that they received. We have been tracking the performance of hedge funds’ 15 most popular small-cap stock picks in real time since the end of August 2012. These stocks have returned 118% since then and outperformed the S&P 500 Index by around 60 percentage points (see more details here). That’s why we believe it is important to pay attention to hedge fund sentiment; we also don’t like paying huge fees. Rothschild is pretty overweight technology names. According to its 13F filing, Rothschild owned 1.13 million shares of the e-commerce company eBay Inc (NASDAQ:EBAY), worth $68 million at the end of June (amassing 15.85% of his equity portfolio). Ebay shares fell 3.6% in the quarter as the broader market trended lower and the PayPal spin off failed to unlock value for shareholders. Other elite funds have been mixed on eBay Inc (NASDAQ:EBAY). Of the around 730 funds we track, 99 funds owned $11.73 billion of the company’s shares (representing 16.00% of the float) on June 30, versus 90 funds and $11.86 billion respectively at the end of March. Carl Icahn‘s Icahn Capital owned 46.27 million shares, while William B. Gray’s Orbis Investment Management held 16.22 million shares. Rothschild owned 1.04 million shares of Comcast Corporation (NASDAQ:CMCSA) worth $62.29 million at the end of June (representing 14.5% of RIT’s equity portfolio), which was a new position in its 13F. Comcast’s shares dropped by 5.4% in the third quarter, as investors worry about the increasing number of cord cutters, but they still like Comcast Corporation (NASDAQ:CMCSA)’s cash flow. Hedge funds have been, overall, mixed on the cable giant. 76 funds owned $7.39 billion of the company’s shares (representing 4.90% of the float) on June 30, versus 91 funds and $7.16 billion respectively a quarter earlier. Larry Robbins‘ Glenview Capital also held 4.04 million shares of Comcast at the end of June. Walt Disney Co (NYSE:DIS)‘s stock is down 9.9% in the third quarter as investors worry about ESPN subscriber numbers. ESPN is the crown jewel of the entertainment company and is vulnerable to internet competition. At the end of the second quarter, Rothschild owned 509,000 shares of Walt Disney Co (NYSE:DIS) worth $58.07 million (13.53% of his portfolio). A total of 60 funds held stakes with an aggregate value of $4.42 billion in Walt Disney (representing 2.30% of the float) on June 30, versus 64 funds and $4.37 billion respectively a quarter earlier. Ric Dillon’s Diamond Hill Capital owns 2.38 million shares.